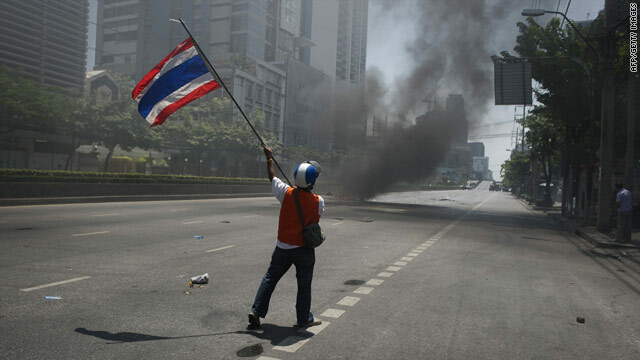 Bangkok, Thailand (CNN) -- A Thai court issued a warrant Tuesday against the country's ousted prime minister on terrorism charges connected with the violent clashes that crippled Bangkok for weeks, the former prime minister's lawyer said. Thai investigators claimed former Prime Minister Thaksin Shinawatra, who was ousted in a bloodless military coup in 2006, helped mastermind and fund the anti-government Red Shirt protests, according to Thailand's state news agency. Thaksin's attorney issued a statement claiming the charges showed that the current government, led by Prime Minister Abhisit Vejjajiva, lacked legitimacy. "The military-backed Abhisit regime has perverted justice through the laying of a charge that violates logic, law and any claim of hopes for reconciliation," said attorney Robert Amsterdam. 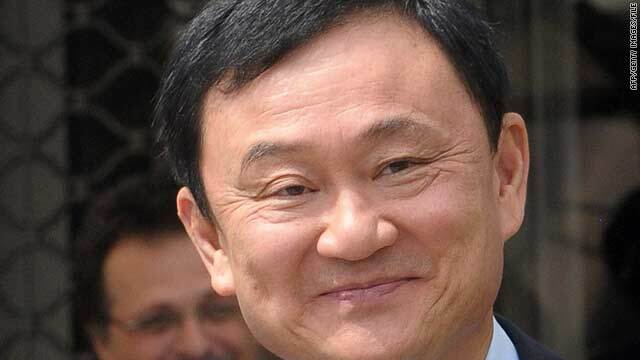 From his self-imposed exile abroad to avoid a trial on corruption charges, Thaksin said last week that he was not the leader of the United Front for Democracy, the formal name of the Red Shirt opposition, and that their movement calling for new elections was not on his behalf. He said it was the government's responsibility to find and prosecute anyone responsible for any terrorist acts. "I never approve nor agree to any use of violence," he said. "I believe in peace. I love my country as much as any member of this government. I believe in peaceful and non-violent means to end conflict and reject any use of force." Thailand's government has extended the curfew in Bangkok and nearly 23 of the country's provinces for four more nights, state news reported. Col. Sansern Kaewkamnerd had said officials would propose extending the curfew in Bangkok and nearly a third of the country's provinces until May 31 in a cabinet meeting on Tuesday, the state news agency reported. Intelligence reports show anti-government groups are still trying to cause chaos, he said, according to the agency. Officials imposed the curfew last Wednesday night after government troops surged into Lumpini Park, where anti-government Red Shirt demonstrators supporting former Prime Minister Thaksin Shinawatra had amassed. In months of protests, the demonstrators demanded that the current prime minister dissolve parliament and call new elections. The protests were called off after troops surged in. At least 50 people have been killed in clashes between anti-government demonstrators and government troops in the past several weeks, and nearly 400 people have been injured, government officials said.